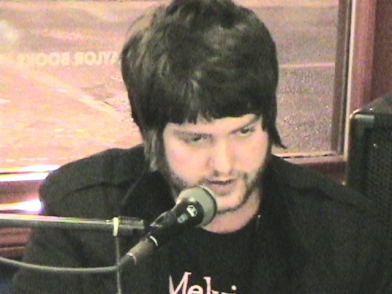 The Guitar Winner Revealed On RFC 84, Plus Joseph Hale and Shindig! Those moving images you see floating above this text (if you don’t see ’em, click here) is the latest episode of Radio Free Charleston. “The Watchmen Shirt” features music from Shindig and Joseph Hale, plus a commercial for the new official board game of RFC, and a long-awaited announcement. 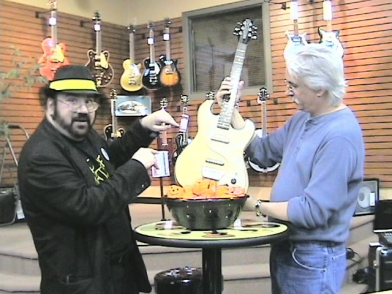 We announce the name of the winner of the First Great Guitar Giveaway. 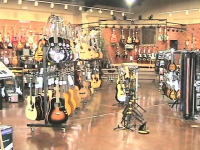 Our host segments were shot in Barboursville at Route 60 Music, where we held the drawing for The First Great Guitar Giveaway. You will see the drawing, and find out who won. You’ll also get to see some of the cool stuff that they have down at Route 60 Music. It truly is West Virginia’s guitar Mecca. I’ve got to thank Paul Calicoat and Route 60 Music one more time. Paul came up with the idea, and supplied the beautiful Danelectro 1963 Reisue Guitar. It’s the first real contest we’ve had on Radio Free Charleston, and I hope that any contests we have in the future can live up to the coolness of this one. Thanks also to everybody who entered. In the coming weeks we will be returning to Route 60 Music to record some great local musicians performing in the store’s cool demo area. In the background of our end credits you can get a glimpse of this great guitar (plus keyboards, amps, and other cool music stuff) store. The end credit music is courtesy of two guys who were just hanging out pickin’. 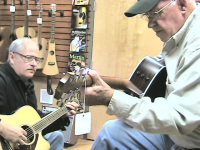 There are always great musicians buzzing around Route 60 Music. Our first musical guest is Shindig. 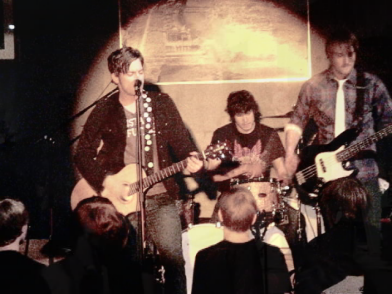 We recorded them earlier this year at The La Belle Theater in South Charleston. You may remember a clip from this night that we showed you back on episode 61. We return to that evening to bring you Richie and the boys with the tender ballad, “Angie.” Usually we don’t leave in intros for songs by the performers, but in this case, we had to let you hear Shindig’s frontman, Richie , explain the sweet story behind this song. Shindig has a new collection out on ITunes. You can read about it at their website. We welcome a new member to the RFC crew this week. Flare Baroshi joins us as a camera person and co-director. Flare (seen at right) shot the host segments for this week’s show, as well as most of the end credits. We also want to welcome our new sponsor, an exciting board game, coming soon to a toy store or ex-wive’s house near you. Watch the show to check it out. 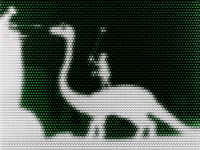 Our animation is prehistoric. That’s pretty much all you need to know about it. Radio Free Charleston will return in two weeks or so with our huge Halloween spectacular, featuring music from Flare Baroshi, Unknown Hinson, The Limbs, The Big Bad, The cast of “The Blob” and more! After I watched this episode, my balls hurt.